Khac Tran wins PMA 6-handed event ($32,760)! After two long days in The Star Poker Room, Khac Tran is champion of the $1,100 PokerMedia Australia 6-handed event here at the Australasian Poker Challenge. Tran overcame a starting field of 126 entries and a marathon final table that saw three handed action last for more than three hours to pick up the trophy and a top prize of $32,760. 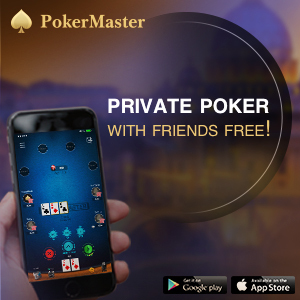 He was also by far the most impressive player at the final table – storming to an early lead after knocking out Shivan Abdine with AA over KK then surviving a frustrating period in which he constantly showed down the second best hand. Tran has previously won the APT Philippines Main Event in 2013 and now he can add the PMA 6-handed to his resume! Theo Dharmasaputra limped on the button, Khac Tran bumped it up to 75,000 and Dharmasaputra made it 155,000. Tran called and they saw a K57 flop all spades. Tran checked to Dharmasaputra who announced he was all-in. Tran snap-called and turned over the the flopped flush with J9 to have Dharmasaputra basically drawing dead with 99. A repeat K on the turn made life interesting but the river 6 ended the contest! On an AK8 flop, Khac Tran bet 60,000 and Theo Dharmasaputra re-raised to 150,000. Tran called before both players checked the 6 on the turn. When a repeat 6 landed on the river, Tran bet 150,000 as Dharmasaputra mucked. Players have returned to find blinds at 15,000/30,000 and a 3,000 ante. Khac Tran holds slightly better than a 2:1 chip lead. Jason Sarkis couldn’t win a flip for bis life at the end and eventually ran into a monster when he shoved with A6 and found Khac Tran’s QQ. The window card was a Q and after 190 minutes of three-handed action we’re finally heads-up! Theo Dharmasaputra has doubled again! He was all-in for his last 300,000 with 66 against the AK of Jason Sarkis and held on as the board ran out 79458. Jason Sarkis was flipping for his tournament life with AK against the TT of Theo Dharmasaputra. The flop was no help but a K on the turn and another on the river was enough to boost him to 500,000. Dharmasaputra is back down to 150,000. Jason Sarkis opened to 50,000 on the button and Khac Tran called. The flop came J73 and both players checked. When a 9 landed on the turn, Tran checked to Sarkis who bet 105,000. Tran then announced he was all-in, sending Sarkis deep into the tank. He eventually folded – leaving Tran to stack up to 1 million. Sarkis is down to 350,000. Down to his last 230,000, Theo Dharmasaputra shoved with A4 and was called by Jason Sarkis with KJ. The board bricked and Dharmasaputra climbs back up off the canvas! Theo Dharmasaputra opened to 45,000 and Jason Sarkis re-raised to 125,000. Khac Tran was the only caller as they saw a 9K6 flop. Sarkis bet 110,000 and Tran called. The turn brought an Ace and both players checked, then checked again when another Ace landed on the river. Sarkis showed TT and Tran mucked. With all three players in the pot, Jason Sarkis bet 50,000 on a KJ3 flop as both Khac Tran and Theo Dharmasaputra called. The 4 turn was checked around as an Ace landed on the river. It was checked to Dharmasaputra who bet 75,000 with only Sarkis calling. Dharmasaputra showed 78 for total air while Sarkis held K8 to take down a nice pot. He is back up to 630,000. We’re seeing a lot of small pots played at the moment, with some pre-flop calling and checking down to showdown. Not much for us to report! On a K36 flop, Theo Dharmasaputra bet 26,000 with Jason Sarkis re-raising to 60,000. Dharmasaputra thought briefly then bumped it up to 151,000 with Sarkis instantly mucking. Dharmasaputra is now on 1.1 million! Having lost four players inside the first hour of play today, the action has certainly slowed with almost 90 minutes having now passed since our last elimination. With stacks also fairly close at the moment, it’s clear the three remaining players aren’t going to get too out of line. Players have returned from their break with blinds now at 8,000/16,000 and a 2,000 ante. The three remaining players are now on a 10 minute break. Khac Tran has just won some chips back and clipped Jason Sarkis in the process. The hand began with Sarkis limping in the small blind and Tran bumping it up to 37,000 with Saris calling. The flop came 824 and Sarkis check-called a bet of 37,000. The turn was a repeat 2 and this time Sarkis check-called for 65,000. When a 5 landed on the river, Tran bet 120,000 with Sarkis tank-calling but mucking when Tran showed JJ. Tran is back to 700,000 with Sarkis on 460,000. After enjoying a lightning tart today, very little has gone right for Khac Tran in the past hour as he has been constantly forced to fold to re-raises and flop check-raises. He is down to around 400,000 and looking a little frustrated. Blinds are up to 6,000/12,000 with a 1,000 ante. Jason Sarkis opened to 20,000 in the small blind and Khac Tran re-raised to 60,000. Sarkis called and the pair saw a 742 flop all hearts. Sarkis then check-raised Tran’s 60,000 c-bet to 150,000 with Tran folding. Sarkis continues to climb and is now chip leader with 780,000. Tran has 680,000. Bassam Habib had been quiet so far but picked up a hand to shove with when he looked down at 66. Jason Sarkis made the call with KQ and we were down to three players remaining when the board ran out K-high. Sarkis is now up to 550,000. Jason Sarkis opened from the small blind and Khac Tran shoved over the top. Sarkis made the call to find his 99 in good shape against the A2 of Tran. The board ran out 42J66 and Sarkis scores a much-needed double. Blinds are up to 5,000/10,000 with a 1,000 ante. Having clashed in the previous hand when Shivan Abdine 3-bet folded to Khac Tran’s cold 4-bet, the two were at it again as Theo Dharmasaputra opened to 17,000, Tran 3-bet to 40,000 and Abdine 4-bet to 90,000. Dharmasaputra reluctantly folded but Tran shoved with Abdine making the call. Unfortunately it was the classic cooler with Abdine’s KK up against the AA of Tran. The board ran out Q2T26 and Abdine is sent to the rail while Tran has built a monster stack of 1.1 million. Theo Dharmasaputra opened in early position and George Moussa shoves for his last 160,000 from the button. It was folded back around to Dharmasaputra who snap-called with AA to be way out ahead of Moussa’s AJ. The board ran out 88942 to end Moussa’s run. Dharmasaputra moves to 350,000 with that pot. Jason Sarkis opened UTG to 17,000 before George Moussa 3-bet to 38,000. Theo Dharmasaputra called in the big blind with Sarkis folding. When the flop landed 638 rainbow, Dharmasaputra donked for 28,000 – forcing Moussa to begrudgingly muck his cards. Dharmasaputra is up to 190,000. Facing a river bet of 50,000 from Khac Tran on a 5Q6J9 board, Jason Sarkis tanked for around a minute before eventually making the call, but mucked when Tran showed 59 for the rivered two pair. After the first half dozen hands were all taken down with a single pre-flop raise, Gavin Tinline got it all-in with JJ to be racing against the AQ of Jason Sarkis. The flop was a disaster for Tinline as it fell A3A and when no J arrived to save him he exited in 7th spot. We are now down to our official finael table of six. Cards in the air at the $1,100 PMA 6-handed final table. The clock has been wound back to the start of Level 18 with blinds at 4,000/8,000 with a 500 ante. Welcome to the PMA 6-handed final table! 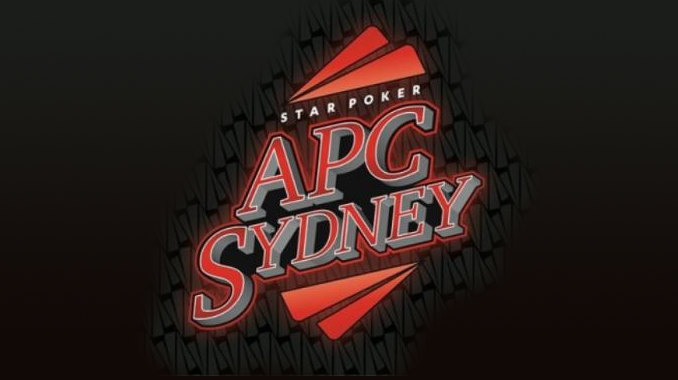 Good afternoon all, welcome back to PokerMedia Australia (PMA) and our live coverage of the final table of the $1,100 PokerMedia Australia 6-handed event from The Star in Sydney. 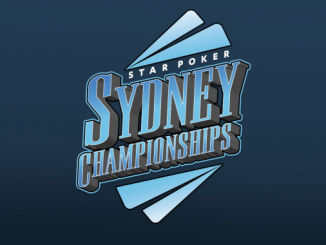 An impressive 126 entries was whittled down to just seven over the course of more than 13 hours yesterday and our returning players will all be keen to lock up the $32,570 first prize tonight. 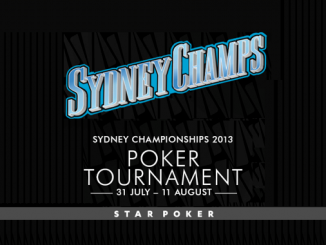 The winner will also go down in the history books as an event winner at the inaugural Australasian Poker Championships which has replaced the Sydney leg of the now defunct Australia New Zealand Poker Tour (ANZPT). PMA will also provide full live coverage of the $5,000 6-handed event starting Wednesday and the Main Event starting Thursday night, but for now sit back and enjoy as we prepare to play down to our champion in the $1,100 PMA 6-handed!